by Monique Morris Author · Mankaprr Conteh Author of introduction, etc. 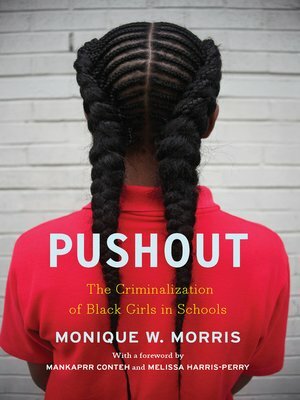 Called a book "for everyone who cares about children" by the Washington Post, Morris's illumination of these critical issues is "timely and important" (Booklist) at a moment when Black girls are the fastest growing population in the juvenile justice system. Praised by voices as wide-ranging as Gloria Steinem and Roland Martin, and highlighted for the audiences of Elle and Jet right alongside those of EdWeek and the Leonard Lopate Show, Pushout is a book that "will stay with you long after you turn the final page" (Bookish).